From technology to healthcare to policing, it's hard to find a profession that will not face challenges recruiting and retaining its workforce. While Minnesota tends to perform better than its neighbors, the availability of workers will continue to slow over the next 10 years. 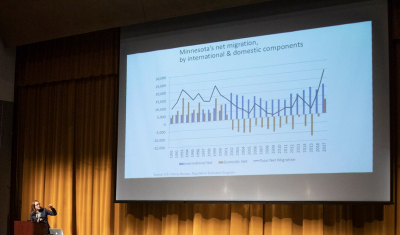 That's just one of the projections Minnesota state demographer Susan Brower offered at MCPA's annual Critical Issues Forum. "We need to start thinking about who are the people who could potentially have an interest in policing and development strategies to prepare them for a career in law enforcement," she told an audience of police chiefs and law enforcement leaders at Bloomington's Schneider Theater. Brower covered three strategies in her presentation that law enforcement might consider as it plans for a future generation of officers. The first involves more long term planning, a review of current police officer requirements and finally the adoption of new strategies to pull in more people who are not currently in the workforce. She said all of these are necessary because people leaving the workforce through retirement or other factors are not being replaced by an equal number of candidates. Any of stability in the available Minnesota workforce is due to the growth of international immigration. "We are kind of assuming at this point that we're going to have about the same levels of immigration as we've had in the past and that's a bit of a question mark at this point if that will continue," Brower said referring to state and federal immigration policy dates. According to a survey of by the Police Executive Research Forum (PERF), nearly 66 percent of police departments in the U.S. say their number of job applicants has decreased. Findings from the Bureau of Justice Statistics indicate that the raw number of sworn officers is also down from a peak of approximately 723,000 in 2013 to about 701,000 today. In Minnesota, the number of people who are taking the peace officer licensing exam annually has dropped more than 25% since 2015, and the number of people who have passed the exam has dropped 23% over that same time period, according to data from the Minnesota Police Officer Standards and Training Board (POST). Brower encouraged chiefs to consider longer term employment strategies. "How do we find people earlier and bring them along to where we need them to be in 5 years," she said. "It is a much longer training period than the typical application period. She also said some employer groups have decided to update and review job requirements with an eye toward deciding which ones are absolutely necessary. "Where do you have flexibilty in designing workforce standards and jobs?" While Minnesota's 10,000 peace officers work mostly for local agencies, Minnesota requirements include a test, licensure and training standards that must be met every few years to renew the license. Workforce participation remains a challenge across the U.S. economy. Brower shared data that supports some people are not looking for work because of pay while others, especially parents and caregivers, find it difficult to re-enter the workforce after leaving for a time to take care of family. For some employer groups, this is about growing your own workforce by better aligning and preparing people for the jobs you will have available. She also pointed to careers where employers can show applicants there is a structure in place and not just the promise of advancement. 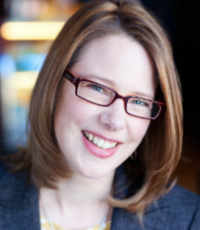 "When I talk to employers who say they are not having problems hiring, they have created concrete opportunities with pathways for moving up," Brower said. MCPA will continue to explore the law enforcement workforce issue at events throughout 2019. Gordon Graham, of Lexipol, will speak on the topic at the Executive Training Institute in St. Cloud in April.